Here we look at the key stats and numbers ahead of the series-deciding game. 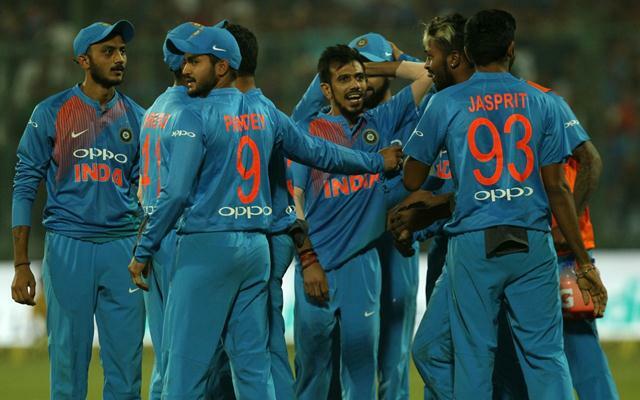 Thiruvananthapuram’s Greenfield Stadium will become India’s 50th venue to host an International game on Tuesday as the home side takes on the Kiwis in the final game of the 3-match T20I series. With the series levelled at 1-1, both the teams will be seen in a tussle to conquer the T20I series. 1 – The venue of the 3rd T20I, the Greenfield Stadium in Karyavattam has hosted only one first-class match so far; Kerala vs Jharkhand last month. The venue is yet to host an official limited-overs game (List A or T20). 3 – Number of times India have played the bilateral series-deciding match in T20I cricket in a 3-match series. India played those deciders against Sri Lanka at home, against Zimbabwe in Zimbabwe in 2016 and England at home in 2017. They won all these three games to win the series by 2-1 margin. 4 – Number of T20Is India have lost while chasing at home. They batted second in 12 T20Is at home and won eight of them. Of the four T20Is, they lost while chasing at home, three have been against New Zealand. 7 – Number of instances when a team won a bilateral T20I series after losing the first match. If New Zealand wins this series, it will be the 8th such occasion in T20Is and 2nd for the Kiwis. In the 3-match ODI series at home in 2016, New Zealand defeated Pakistan 2-1 after losing the first T20I. 8 – The Black Caps have featured in eight T20I matches so far on Indian soil. They lost both the games they played at the Feroz Shah Kotla and won the remaining six T20Is they played in other venues. 197 – MS Dhoni has effected 197 dismissals in Twenty20 cricket as a wicketkeeper so far. He needs three more dismissals to become the 2nd wicketkeeper after Kamran Akmal (200) to complete 200 dismissals in this format. Dhoni has a total of 202 dismissals in T20s with five of them as a fielder. 9994 – Number of runs Martin Guptill has to his name in International cricket so far. He needs six more runs to become the 7th New Zealand player with 10000 International runs. 15631 – Runs Virat Kohli has scored in International cricket so far. These are the 6th most runs across formats for India as the Indian captain went past Mohammad Azharuddin (15593) during the last match. Kohli’s tally is the 2nd highest for any player at 29 behind Sachin Tendulkar’s 18938. 15983 – MS Dhoni has scored 15983 runs in International cricket so far. He needs 17 more runs for becoming the 26th player and 2nd wicketkeeper after Kumar Sangakkara to complete 16000 International runs.